In her debut novel of what she calls “spirited romance for the Jane Austen soul,” author Linore Rose Burkard tells the intriguing story of Miss Ariana Forsythe, a young woman caught between her love for a man who doesn’t share her faith and her resolution to marry only a fellow believer in Christ. Trouble at home sends the young woman to her aunt’s townhome in the fashionable Mayfair district of London. There she finds worse troubles than those that prompted her flight from home. Ariana is soon neck–deep in high society and at odds with Mr. Phillip Mornay, London’s current darling rogue. Then a scandal changes Ariana forever. Her heart, her faith, and her future are all at stake in an unexpected adventure that gains even the Prince Regent’s attention. Will Ariana’s faith survive this test? And what about her heart? For it’s Ariana’s heart that most threatens to betray the truths she has always believed in. When she finds herself backed against a wall, betrothed to the wrong young man, how can it ever turn out right? I loved this book! It has everything. Period details, wonderful romance, humour, real love, and most of all a very serious attitude towards God. I especially liked the way the heroine stood firm in her faith, despite the fear of losing a great romance. I can't say I know any "christian" girls now that would have done the same. I confess I was curious to see how believable the hero's conversion would be and of all the things I had thought of, the simple prayer he said from his heart, was the greatest surprise for me. It was so honest, so genuine, so childlike in its nearness to God, that I even cried a little. I also like the fact that he didn't hide it from Ariana that he wanted to follow Christ because he wanted to marry her, as I have seen many many men come to church for similar reasons, but with a total lack of sincerity about it. Finally, I want to say that the author compares herself (or puts herself in a similar position) to Jane Austen, or maybe even other successful regency authors. 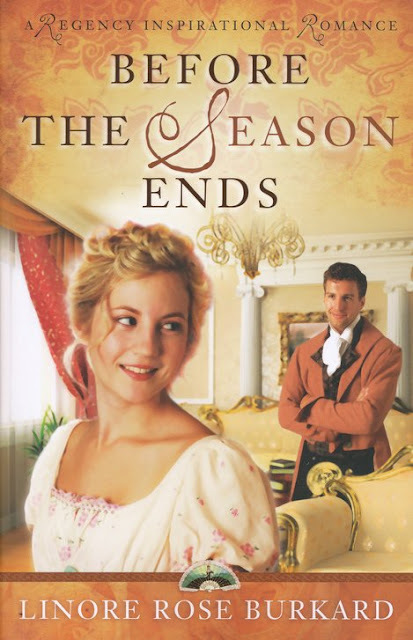 what i wanted to say is that although it does her credit to have been influenced by authors such as Austen and Heyer, she has developped a style entirely her own, on top of which, her book is filled with God. And, although I have read Austen's and Heyer's books to shreds, i would any day prefer to read a so well written regency that also says about my Saviour, than any of those famous authors, who, however good they are, they do not have Him on every page (or indeed on any page). Mr. Mornay is a very romantic hero and handsome too. Ariana is a girl to whom most modern-day girls can relate, and her absolute devotion to the Lord is something I envied her. The story is a God-centered tender and sometimes adventurous romance. I think almost anyone would love this book. I know I did. P.S. you can listen to an enlightening interview of the author here.